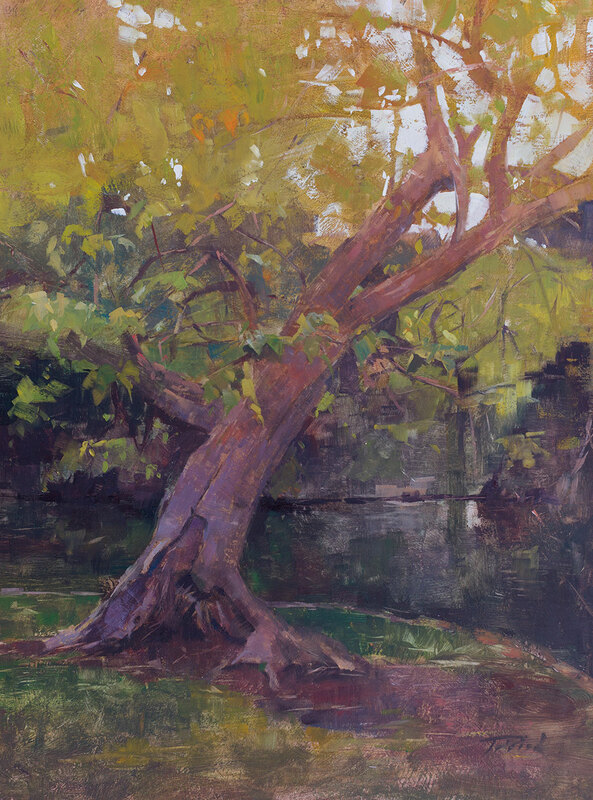 I painted this tree during the Outdoor Painter's Society's 2016 Plein Air Southwest Salon in Dallas, Texas. It was an overcast day which brought out the rich color in the scene. The painting won the Artist's Choice Award that day.